If Batman drove a Mini, this could be it. 50 years ago Mini was something of a superstar in the rally scene, having claimed multiple victories at the Monte Carlo Rally through the late 1960s. To celebrate that mighty period of Mini history, the automaker has built something special that will be unveiled in just a few days at the Frankfurt Motor Show. 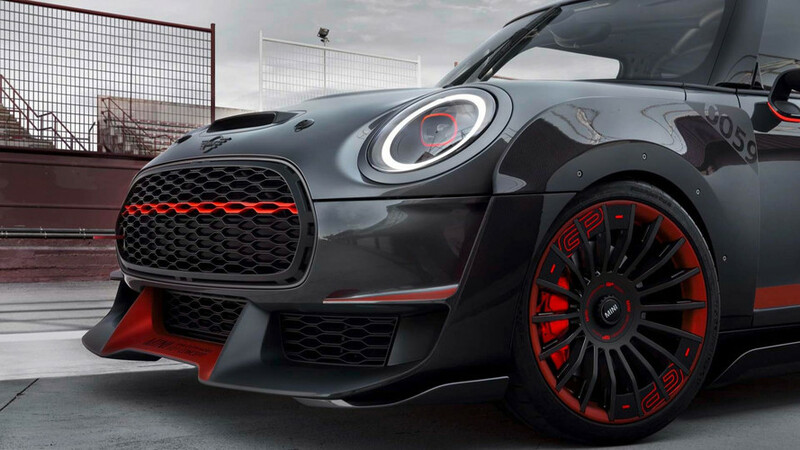 It’s officially called the Mini John Cooper Works GP Concept, but we’re just going to call it freaking awesome, because look at it. 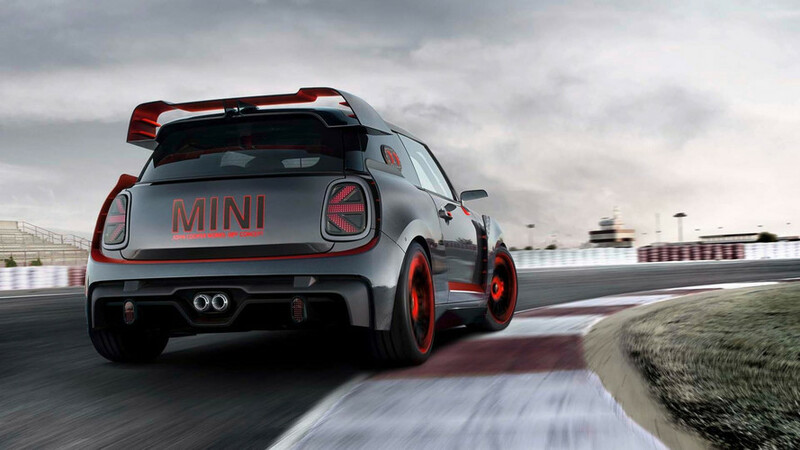 The car picks up where previous Mini GP concepts left off, and it’s definitely flashy. 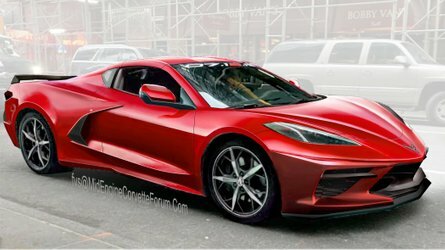 Wings, air intakes, and carbon fiber abound in this design study, with notable points being the aggressive front clip with its gaping air intakes and carbon-fiber front apron. 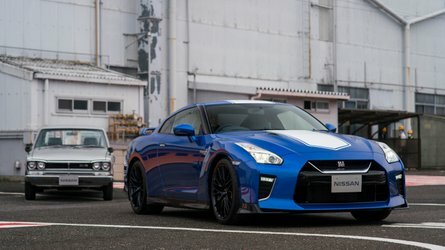 More carbon fiber is found on the side skirts, while flared arches for front and rear wheel openings blend with the aggressive add-ons and a massive rear wing to give this car a properly mean look. As for colors, we’re not always fans of high-contrast designs but the blending of silvers and grays with red and orange just push the right buttons for us on this design study. 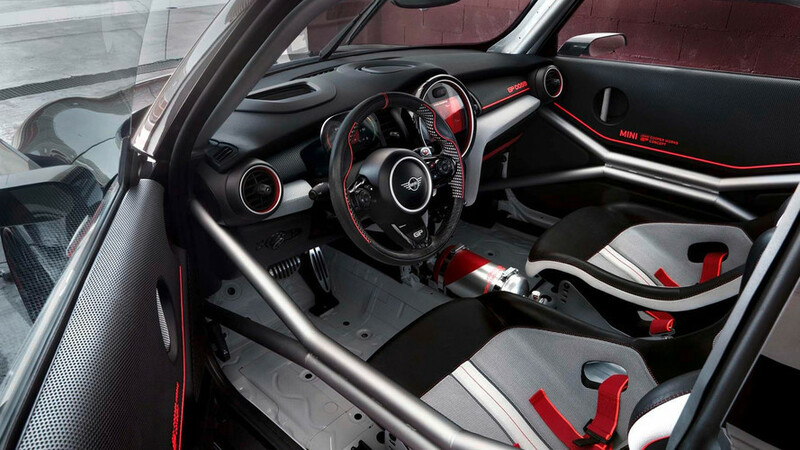 Inside, the Mini is pretty much race-spec and by that we mean gutted. The bare interior is outfitted with a roll bar and a pair of race seats with five-point harnesses and that’s about it. 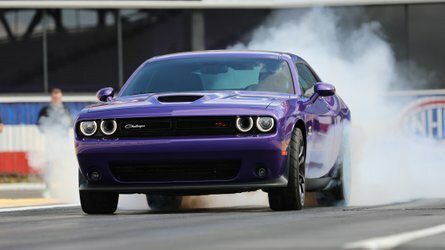 The driver swaps cogs through paddle shifters on the wheel while monitoring vital info through a heads-up display. 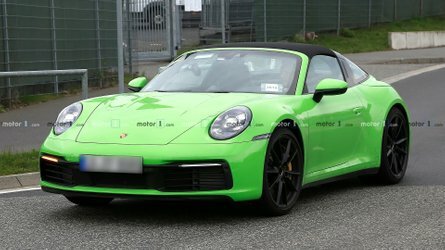 Should either driver or passenger need to exit the race-inspired concept, fabric straps are used in place of traditional door handles. 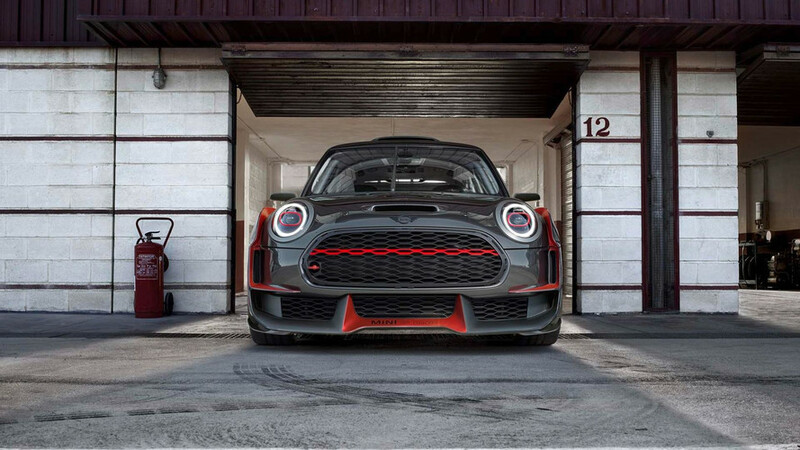 Saving weight on the Mini John Cooper Works GP Concept is a top priority. Despite the brand’s rally history and the concept’s ode to Monte Carlo, this model is portrayed as something best suited for track use only. 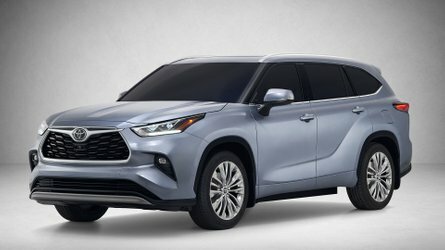 Being a design study there’s no mention of engine or powertrain details, though we’d love to see it getting dirty and sideways on a WRC stage with all-wheel drive. Mini ultimately did a limited run of its previous GP models, so we wouldn’t be surprised to see a version of this winged wonder on sale in the not-too-distant future. Munich. 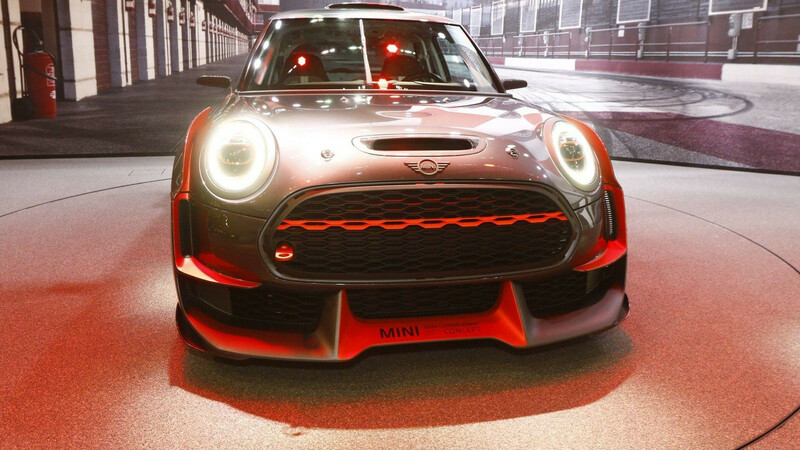 The BMW Group has chosen the IAA Cars 2017 show in Frankfurt a. M. to present the modern racing essence of a MINI – in the shape of the MINI John Cooper Works GP Concept. Inspired by the carmaker’s legendary triumphs in the Monte Carlo Rally exactly 50 years ago, this design study embodies undiluted dynamic flair and the ultimate in driving fun – on both the race track and the road. 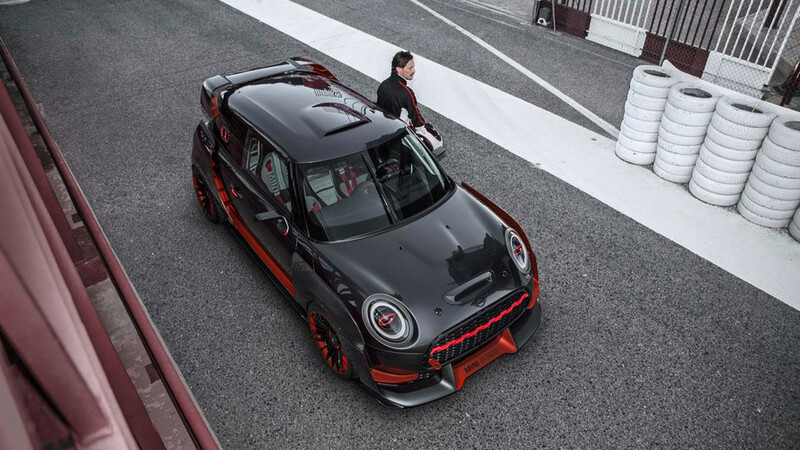 The concept car picks up the baton from the 2012 MINI John Cooper Works GP and 2006 MINI Cooper S with John Cooper Works GP Kit. Produced in strictly limited numbers (2,000 examples each), these two models explored the outer limits of their performance capability at the time. The design – compact proportions and sporting agility. 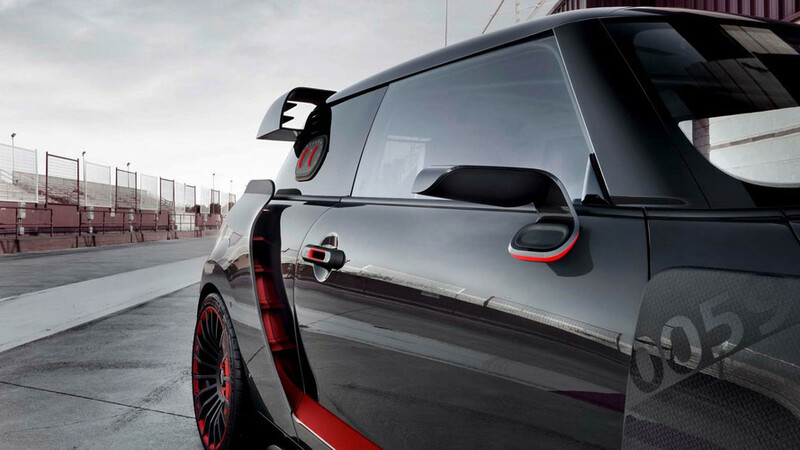 The design of the MINI John Cooper Works GP Concept majors on purity and emotional richness. Significantly wider than the current MINI, the design study exudes dynamism and power. Large front and rear aprons, side skirts and a prominent roof spoiler create a confident appearance. The use of lightweight materials such as carbon fibre optimises the car’s power-to-weight ratio. And evenly balanced weight distribution is a ticket to MINI’s signature go-kart feeling. 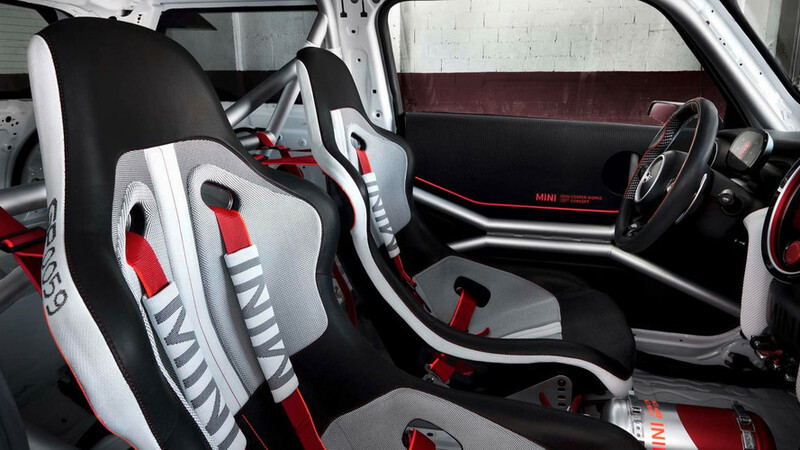 take on the classical John Cooper Works red and visually accentuates the optimised geometry of the performance and add-on parts. the car’s weight. The carbon matting is now directly visible and presented with a high-gloss paint finish with red hexagon graphic. number 0059 refers to the year the classic Mini was born: 1959.
neatly judged highlights to the exterior mirror bases and door handles respectively. and the two rain lights at the outer edges at the rear improve visibility in wet races. Works DNA to eye-catching effect. is by paddles on the steering wheel. the digital and analogue worlds. creates a transition between the unadorned rear and more design-rich front cabin. passenger to clamber out through the roll cage in the usual racing car style. simple personalisation in the future. comes roaring into everyday life.